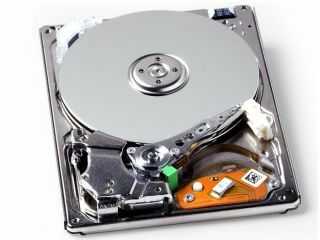 Solid-state disks may be eating into the territory of traditional hard drives, particularly in laptops, but that doesn't mean spinning platters are on their last legs – particularly not at Hitachi. Hard drive specialist Hitachi Global Storage Technologies is continuing to push HDDs to the limit, with a strong emphasis on increasing capacity and with a clear goal in mind. The Japan-based company has stated that it plans to have a commercial 3.5-inch hard drive on the market that can hold 5TB by 2010. It aims to achieve this with write heads that use something called current perpendicular-to-the-plane giant magnetoresistance (CPP-GMR). CPP-GMR pushes data density above 1TB per square inch, a long-awaited threshold that promises drives many times larger than those available today. As for what can be stored on such disks, Hitachi's Yoshihiro Shiroishi explains, "By 2010, just two disks will suffice to provide the same storage capacity as the human brain." In other words, a next-generation hard drive will be able to recall that trip to the seaside in 1976, but never where it left the car keys last night.